Day 1 – Hidden Seminary and Illicit Stills, The Secret Life of Glenlivet – is spent in the remote Glenlivet area of upland Speyside where we peer into a secret history of Jacobite refugees, illicit whisky production and smuggling, and secretly trained ‘Heather Priests’. Along the way, we look at how extensive sheep grazing and other land management impacted not only the landscape, but the people that lived there. 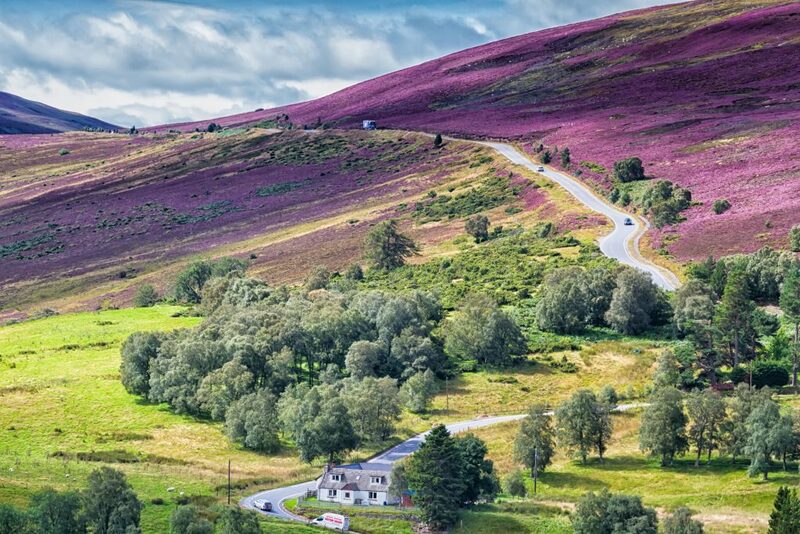 Day 2 – Dyeing and Distillation, Plants to Die For – we swap the wild moor for the wooded Spey Valley to spend a more intimate day getting to know the sense of place. 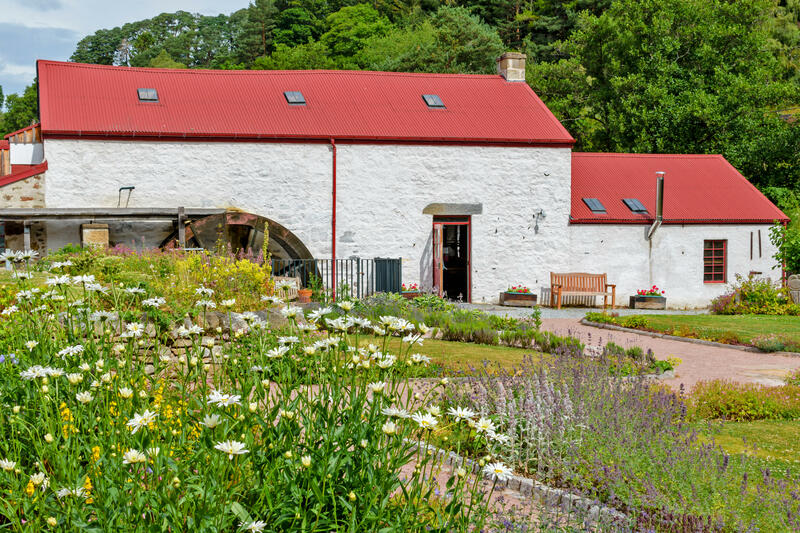 Visiting the beautifully restored Knockando Wool Mill and dyers garden and seeing the process of tweed production from raw wool to finished product, we get a sense of how people used the environment around them. 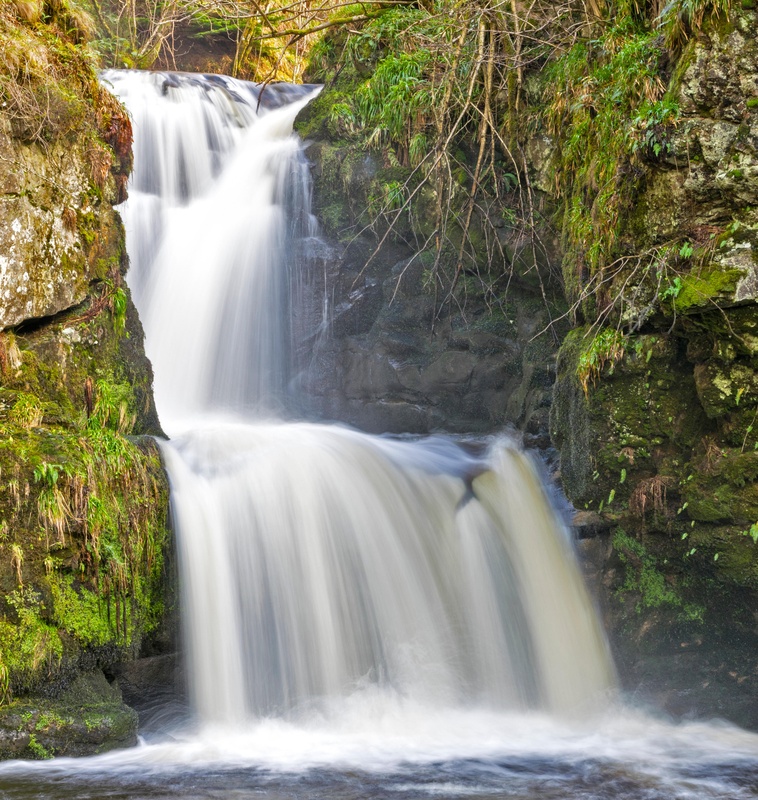 We continue this theme on our history and ecology walk as we wander up the river gorge to the Linn Falls at Aberlour. 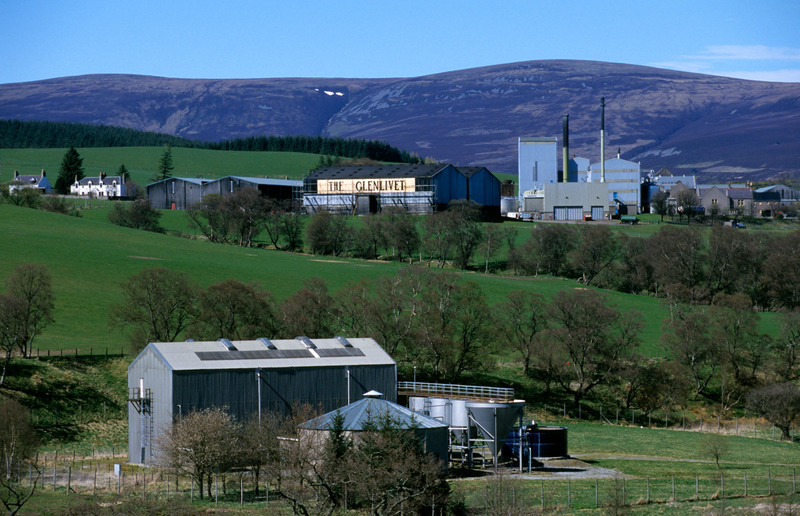 Our distillery visit is to the attractive, pergoda topped Aberlour distillery, with a tutored nosing and tasting of six of the most acclaimed Aberlour expressions. Visits to: Knockando Wool Mill, Shop and Dyers Garden; the Linn Falls (ethnobotany woodland walk); Aberlour distillery; Aberlour town and InveravonPictish Stones. Day 3 – Malting and Milling, the Barley Lands of Moray – is spent investigating the ancient history of Laich of Moray, the fertile coastal plain where much of the barley for the Speyside whisky is grown. Here we explore enigmatic Bronze Age burial cairns and Pictish standing stones, magnificent castles and historic fishing villages juxtaposed with ultra-modern maltings. We’ll also visit Johnstons of Elgin, another well-known local company and makers of quality wool products, for a comprehensive guided tour and browse in the mill shop.